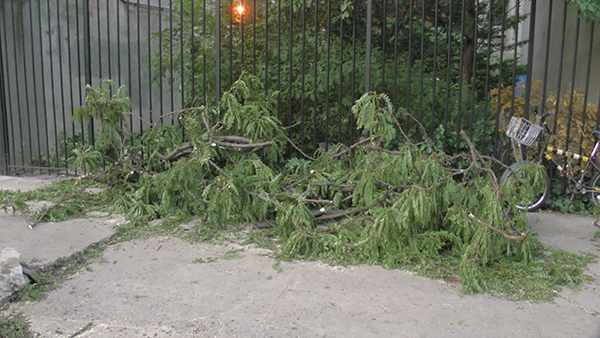 It was immediately clear to me that these branches did not gather themselves into this pile. No, they had help; they were put there by someone! The origin of the fallen branches. 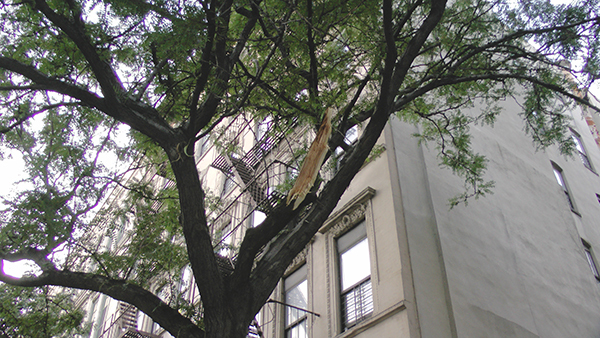 It just goes to show: you never know when tree branches might fall… in the East Village Today!